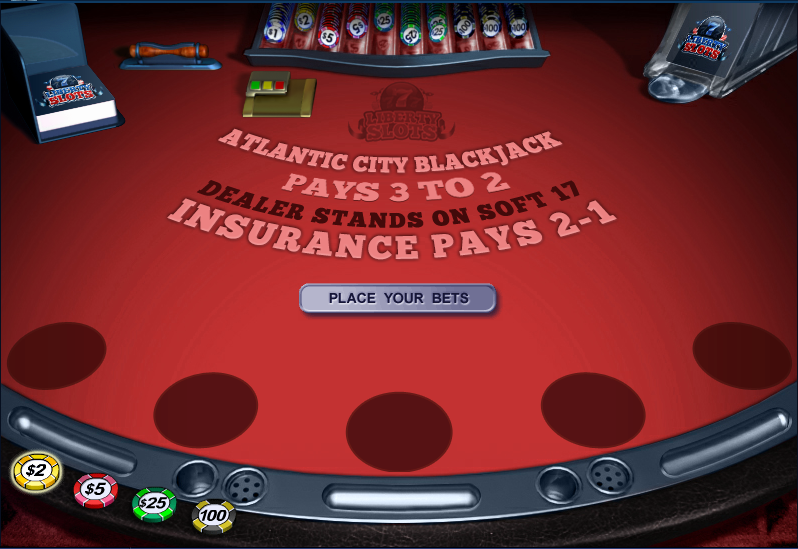 Two new games Atlantic City Blackjack and Bump It Up Joker Poker have been added to the WGS Technology Suite of games over the summer. Although they are not slot games we have know WGS for, they are still two great new games to complement the software suite. 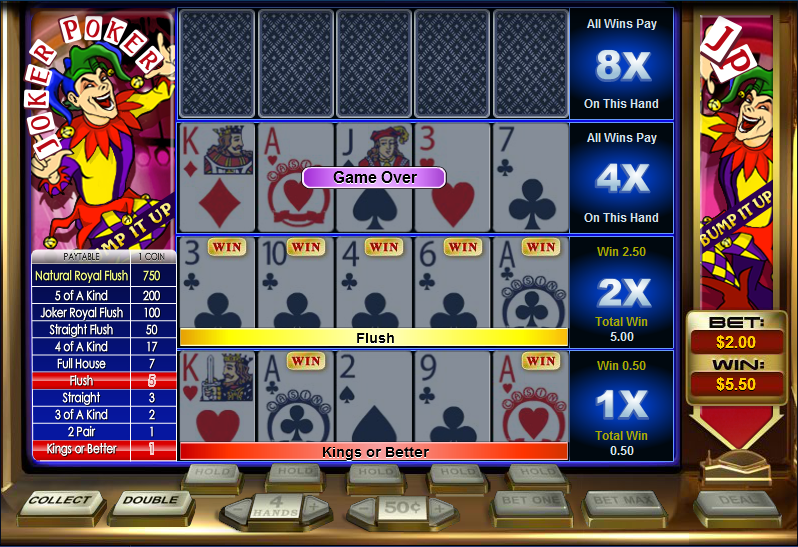 Bump It Up Joker Poker is a style of Video Poker where you can play 1 – 4 hands per game. The winning hand bumps up to the next game. During the variation of Bump It Up Joker Poker, the Joker that acts as a wild card is added to the deck. The Joker can be used to help you create a winning hand when its awarded automatically giving you the best winning hand based on suit and value. The game also features a Free Ride in the Bump It Up Joker Poker where it is awarded randomly and automatically guarantees you a free ride to the next level. For further rules of the new Bump It Up Joker Poker from WGS Technology, one can view the informativie help files available inside the client. This will provide more details on any questions you may have about this great game. Both the New Atlantic City Blackjack and Bump It Up Joker Poker games are available at Liberty Slots, Lincoln Casino and Miami Club Casino.